The driver who picks me up at the airport is a dark, slender young fellow. He wears his thick, black hair neatly combed back. His English is rudimentary, but we get along ok. He tells me how he had come to Siem Reap to work and study, and how much he likes hanging out at Pub Street as he guides his Toyota Crossover through the city’s dusty roads at a snail’s pace. All along the way to Anantara Angkor, the hotel hosting me for this trip, mopeds, pedestrians and tuk-tuks crowd the road. I see families of three or four piled onto flimsy scooters, stray dogs roaming the streets, and the occasional live ox being transported away in a lorry. Nobody cares about traffic regulations here and chaos reigns supreme. The locals, as if delirious, drive at random, and the perpetual honking is getting on my nerves. But the moment we make a right turn into the newly-refurbished resorts and the gates close behind me, there is suddenly peace. Anantara’s two-bedroom Henri Mouhot Suite’s private spa room and jacuzzi. Like Christchurch still recovering from its last earthquake, Cambodia is slowly climbing out of the cesspit left by the Pol Pot-led Khmer Rouge regime, which wiped out over two million of the country’s people during its four-year reign of terror. I am aghast to hear about its war against literacy, where anyone who wore spectacles was executed, in an erroneous quest to create an agricultural utopia. Cambodians who managed to dodge death were forcibly relocated to the countryside to be deployed as rice farmers. Today, Cambodia appears to be suffering in an unfair case of retribution for evil. While it’s true that development has improved through the years, the country is still swollen with penury. My first morning in Siem Reap started at 3.45am. After snoozing the alarm till 4.20am, I leave the hotel with Mr Tee and arrive at Angkor Wat under the cover of darkness. The 38-year-old is one of Anantara’s temple gurus. He seems a little intense, but very knowledgeable and fluent in English and French. He tells me how difficult it is to make ends meet in Cambodia, that he’d forsaken a degree in journalism to guide tourists, a career he’s served for 16 years. “Journalism would have been tough,” he shares. “You end up working for the government.” He then paves the way with a torchlight, bringing me to the front of a lotus pond to stand alongside the crowd armed with Nikons and Canons. There, I wait groggily for the first crack of dawn. As the first rays of light rise over the horizon, I get an inkling of the size and intricacy of Angkor Wat. Beside me, the cameras click away furiously at the sunrise until those, satisfied with their captures, start making their way inside. The temple is perfectly symmetrical. It began in the 12th century as a Hindu temple before converting to Buddhism. It is the heart and soul of Cambodia and a symbol of national pride. Mr Tee takes me through the three levels – ‘underworld’, ‘earthly’ and ‘heavenly’ planes – before ending the tour at Bakan, the summit of the world’s largest religious complex. 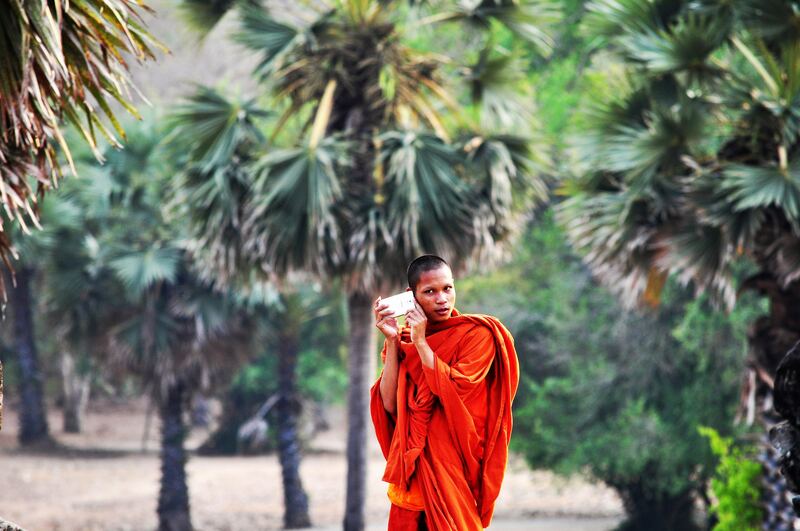 The city is full of temples, such as Bayon and Ta Prohm, each with its own story to tell. But there is more to Siem Reap than temples. Mr Tee also gives me a first-hand introduction of the city. First, we drive for 15 minutes to the Artists’ Village, the main platform for local artisans. There’s also the French Quarter and Kandal Village, a quaint stretch of stylish boutiques and cafes. And then there’s Pub Street, which is a boon for anyone who loves their food, drinks and thumping party music. Beer is ridiculously cheap at USD1 a pint, the same you’ll pay for an hour-long massage. Street food is abundant too. Whet your appetite or work up a wave of nausea with skewered scorpions, hairy tarantulas and fried worms. At a glance, Siem Reap is similar to Saigon. Rough around the edges and Third World, but far more charming. While you might get harrassed by the many tuk-tuk drivers eager to make a quick buck, the folks, in general, are kind and less aggressive than the Vietnamese. Smiling, once forbidden by the Khmer Rouge, is also something the Cambodians do readily. Another way to see the country is via quad biking, paddling through floating villages or horse-riding, which can all be arranged by Anantara’s experienced butlers. I decide to ride a horse (from the Happy Ranch Horse Farm) for the chance of trotting through countryside villages or finding hidden jungle trails and temples. I am allocated a lazy horse along with two mischievous and boisterous boys as chaperones for the afternoon. One of them dreams of leaving Cambodia. He reckons his English is good enough for he has learnt it by watching reruns of Friends. “Call me Chandler. He’s the best,” he jokes. Its cheerful folk and a rich history aside, Cambodia isn’t that popular for its cuisine. Think of it as half Vietnamese and half Thai – clean-tasting, slightly rich and not quite spicy. For the spoilt Singaporean palate, Cambodian food can seem a little half-baked, but for what it is worth, it is a cuisine that’s greatly underappreciated. My chef’s table dinner with the hotel’s Kien Wagner on my last night turns out to be one of the best meals of my trip. Deep-fried squid and rambutan? Slipper lobster soup? They were similar to that moment the first light hit Angkor Wat – magnificent. Yes, I’m coming back for seconds.